The Sony Xperia C5 Ultra is one of the best looking Xperias to date. It features a nearly bezel-less display and front-and-back 13MP cameras. 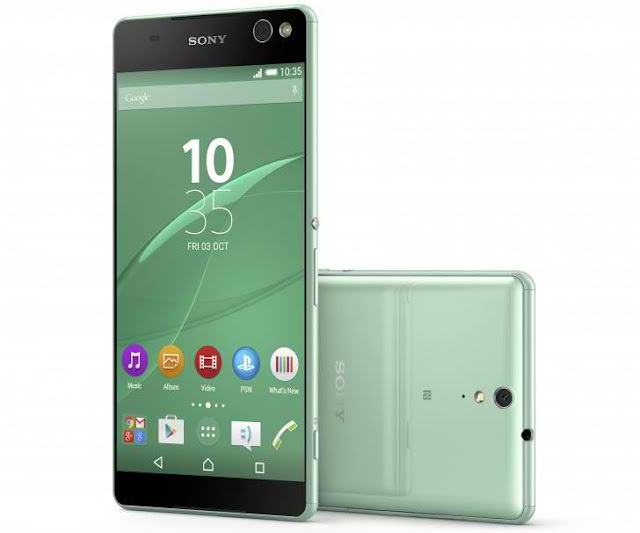 Sony Xperia C5 Ultra debuts with nearly bezel-less display. The handset has been in the rumor mill several weeks before its official release. The handset is the successor to the Xperia C3 which is basically one of the best selfie phones around. The 6-inch IPS full HD display defines the front-panel of the device which technically has 1920 x 1080 resolution. Its computing power comes with the MediaTek MT6752 chipset which includes an octa-core CPU clocked at 1.7GHz speed coupled with 2GB of RAM. The Sony Xperia C5 Ultra packs a 13-megapixel rear shooter; and another 13MP sensor on the front panel - both are autofocus cameras. The front camera has a 22-millimeter focal length for wide-angle selfie capturing; it also has its own front-facing LED flash. The 2930 mAh battery will power the Sony Xperia C5 Ultra with Android 5.0 Lollipop running the whole show. The handset will be available in selected countries this month with a plausible Philippine availability later this year.